If you’re like me all diets raise eyebrows, and questions like what is it? Is it a fad? Could this eating style have points that are right for me? Of course, being a "diet," paleo has food guidelines. 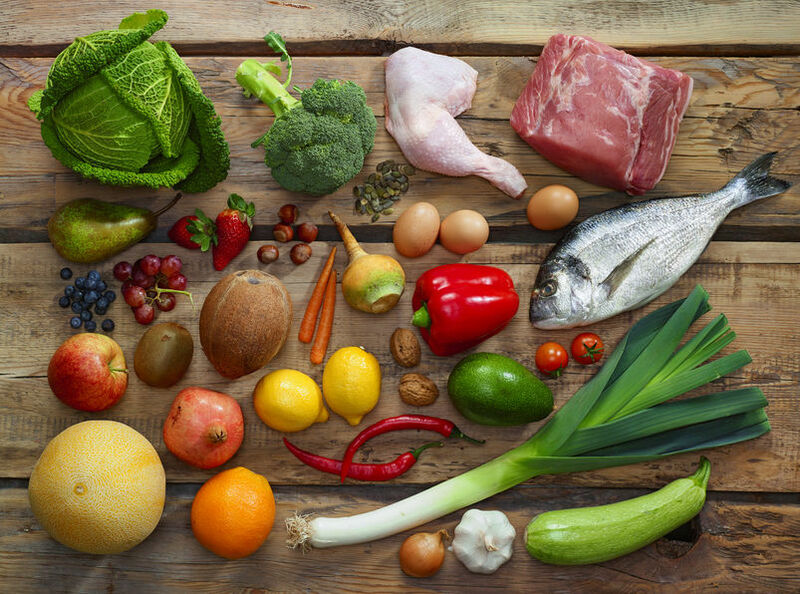 The paleo diet was created to increase the amount of whole, unprocessed, nutrient-dense foods; while reducing the number of gut-disrupting, hormone-disrupting, and inflammatory foods (that part sounds good to me!). But this doesn't mean there are only a couple of foods to choose from. There is a pretty wide variety of food to choose from in the paleo diet. The paleo diet can be thought of as more of a "template," rather than a strict set of rules. (In my opinion, most diets for general health can be thought of this way, unless they are part of a protocol for healing or prevention of a specific condition). Even if you don't choose to go paleo, the elimination of added sugars, processed and refined foods can (should?) be a goal to move toward for your health. Preheat oven to 350F. Line 12 muffin cups with paper liners. In a food processor or stand mixer, blend eggs, bananas, almond butter, coconut oil, and vanilla. Previous Previous post: What is the Glycemic Index and Glycemic Load? Next Next post: Could Phytic Acid be Stealing Your Minerals?